A market leader in the coffee industry, Nescafe is the world’s most trusted brand having maintained its legacy for over 70 years. 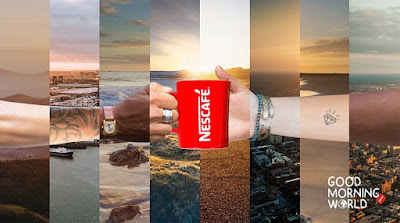 To commemorate International Coffee Day, this year Nescafe’s audience from all over the world were invited to pass a mug of coffee, creating a chain of happiness that broke geographical boundaries. The initiative picked up further momentum within Pakistan with the help of social media influencers as the digital community joined the campaign to share their love for the caffeinated beverage with tweets, posts, creative memes, GIFs, videos and more using the hashtag, #GoodMorningWorld followed by #Pakistan. Rubbing shoulders with over 20,000 people from across the globe were many celebrities such as, Ali Hamza and Ali Gul Pir who passed the mug forward in their own unique style. Members of the community filmed themselves with mugs of coffee, infusing their own personal style and passing the mug to the left. Each video was then shared on the brand’s social profiles along with the members own using the campaign’s official hashtag.